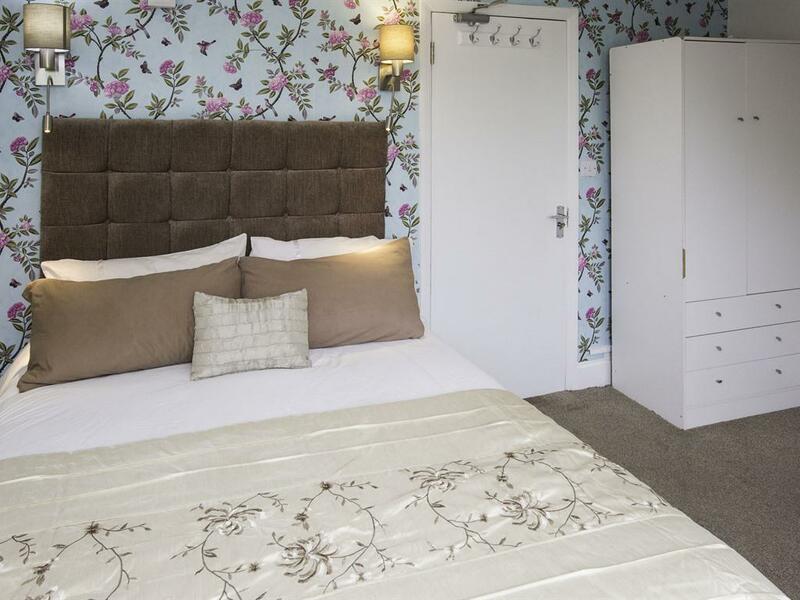 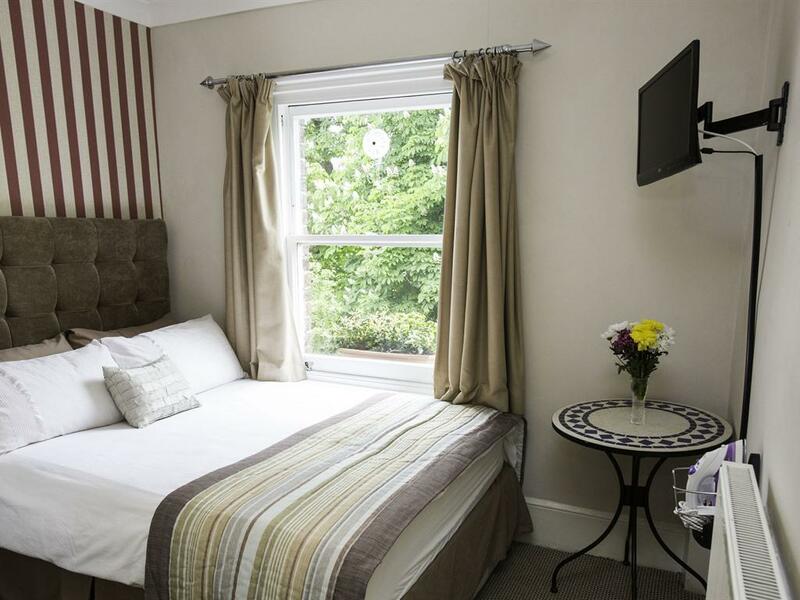 Large single bed, en-suite shower, wifi, HD LCD TV, complimentary tray with tea coffee water & biscuits, hairdryer, ironing board, adapter, towels and toiletries in room. 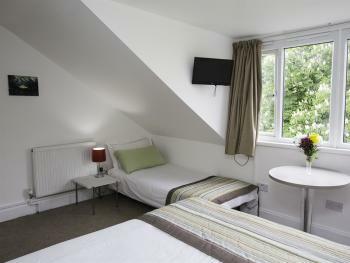 Room has a garden view and is on the first floor. 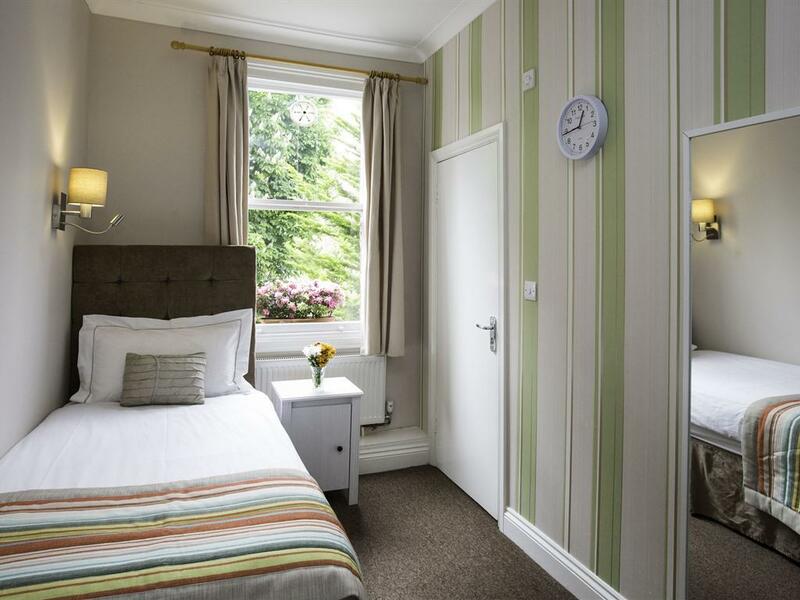 Double bed, en-suite shower, wifi, HD LCD TV, complimentary tray with tea coffee water & biscuits, hairdryer, ironing board, adapter, towels and toiletries. Room has a garden view and is on the second floor. 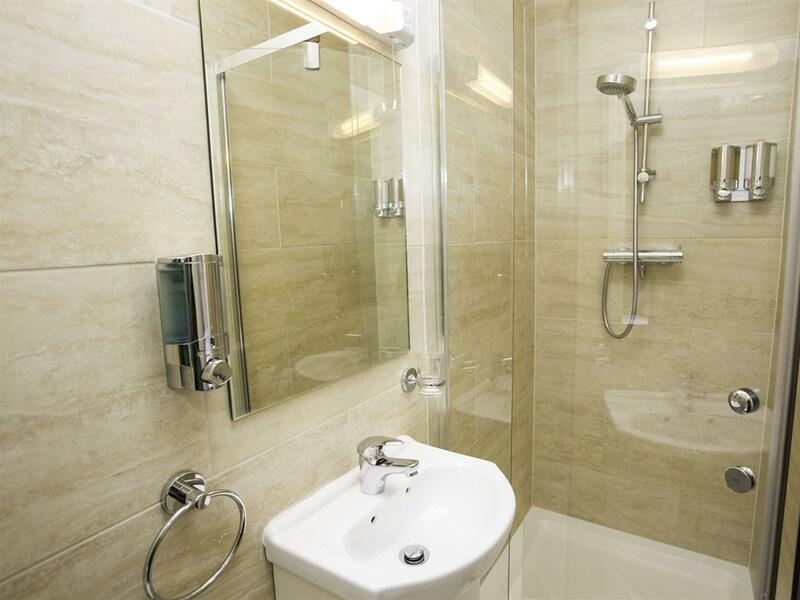 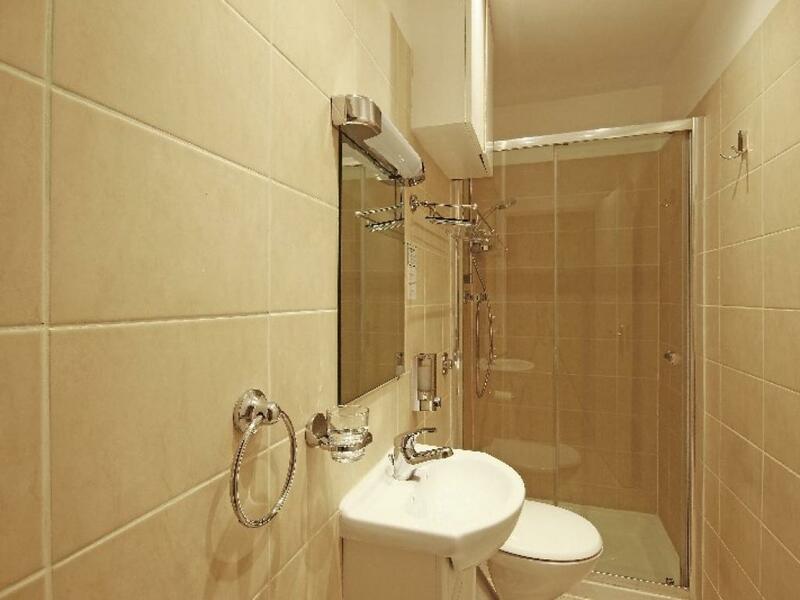 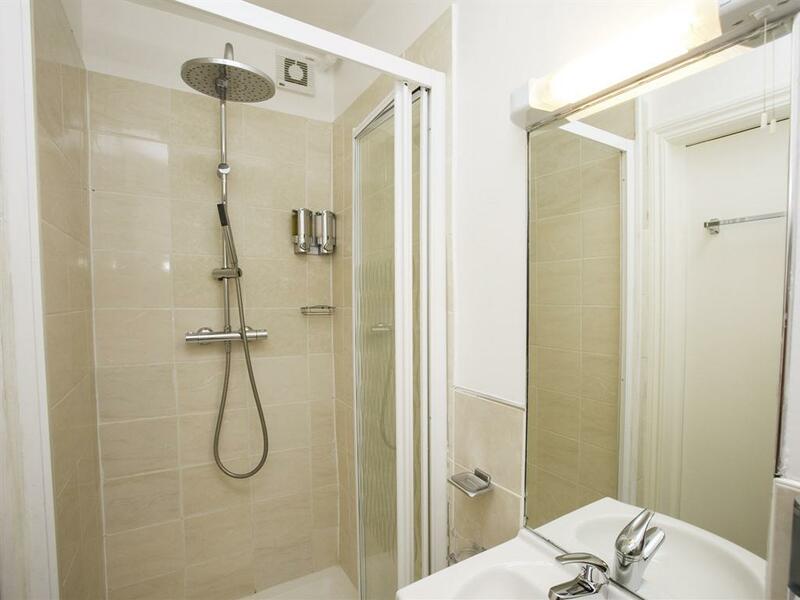 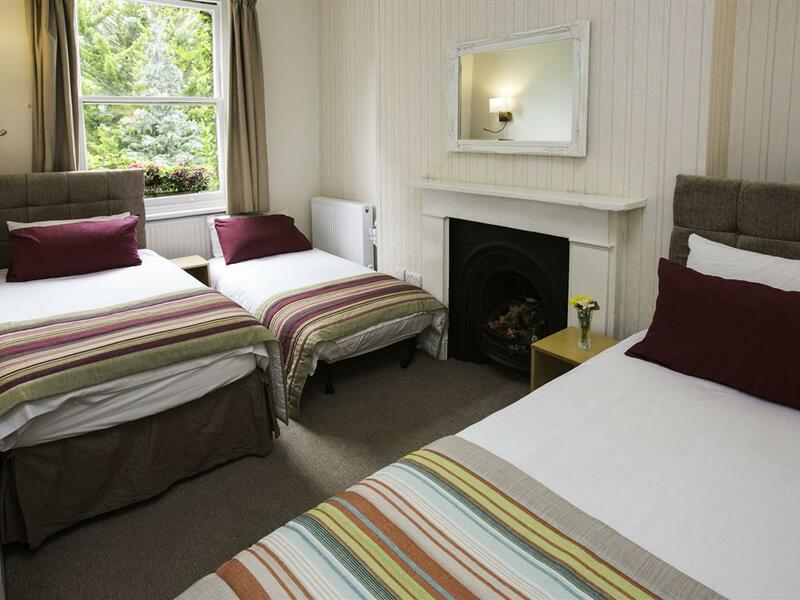 This room is smaller than the standard doubles therefore suitable for single occupancy. 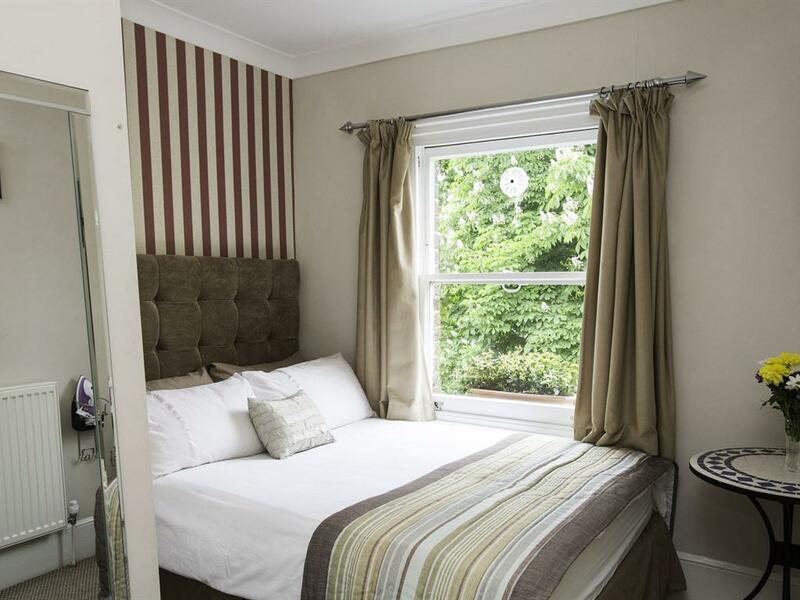 Extra comfy king size bed, this room offers a beautiful sunny front view of the street. 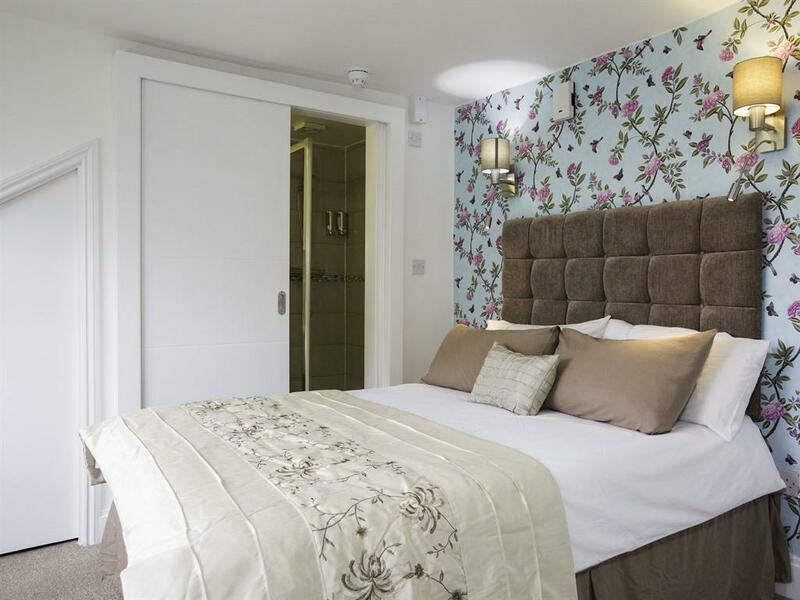 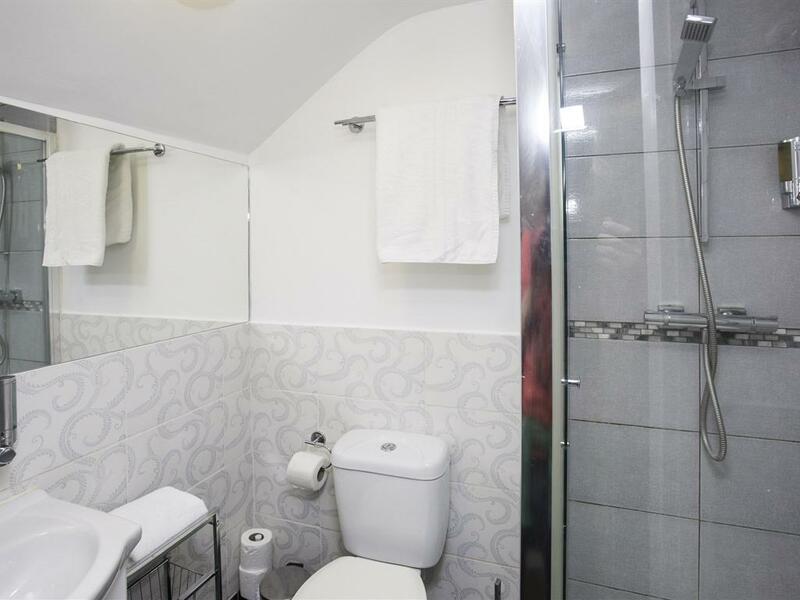 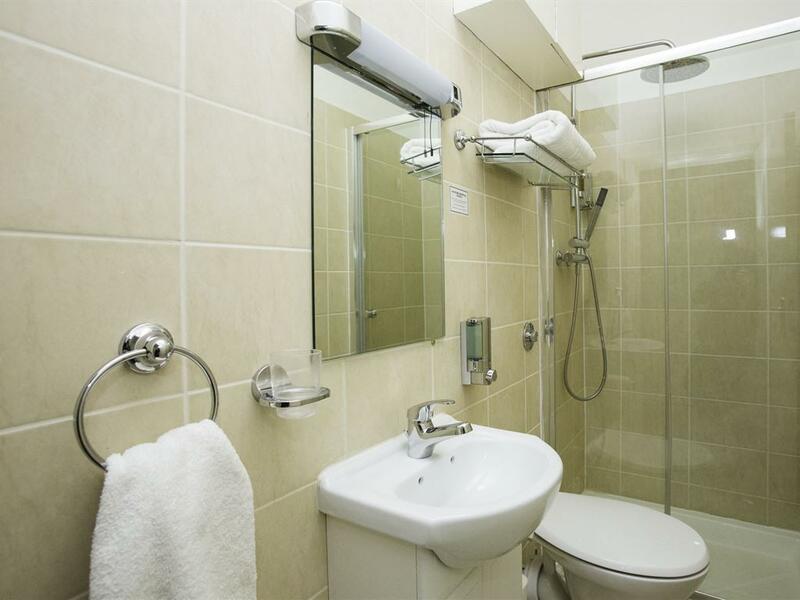 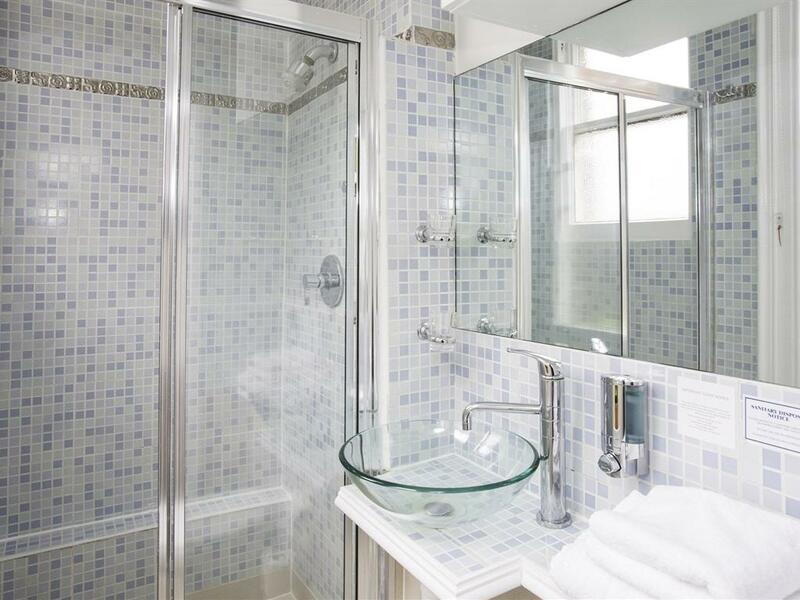 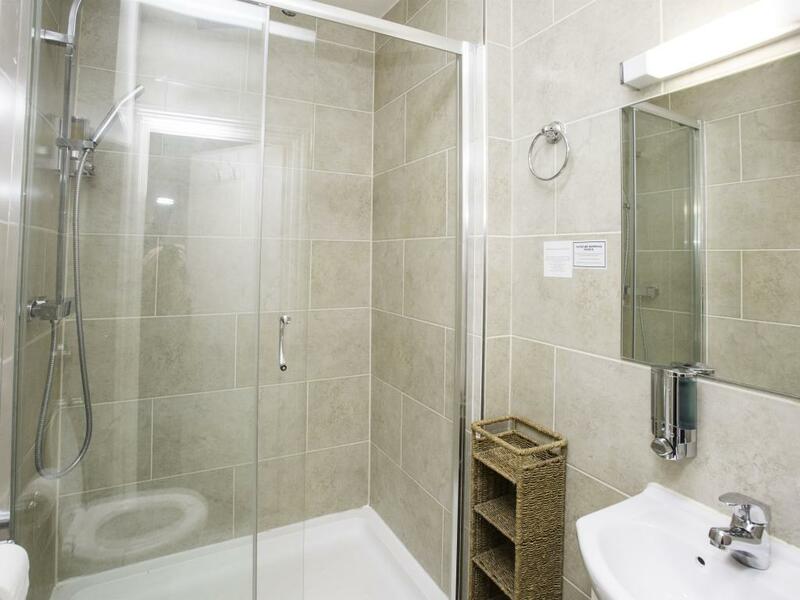 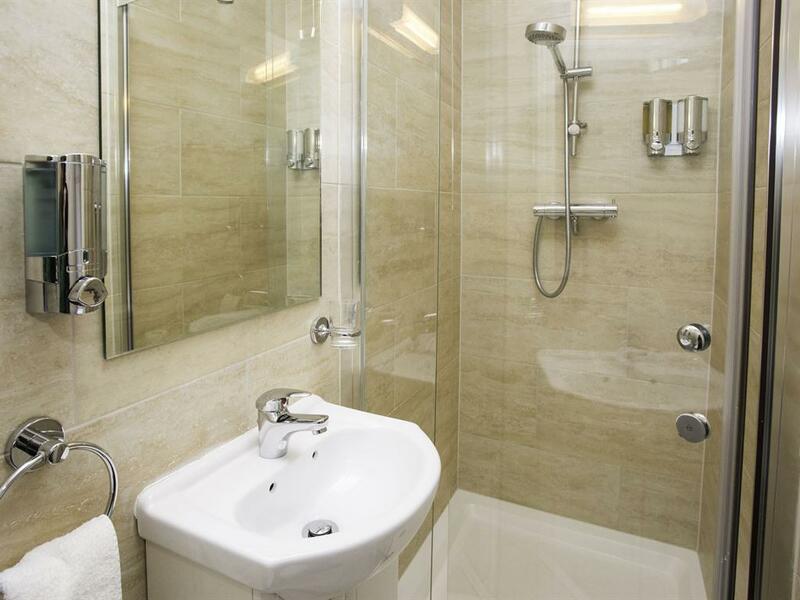 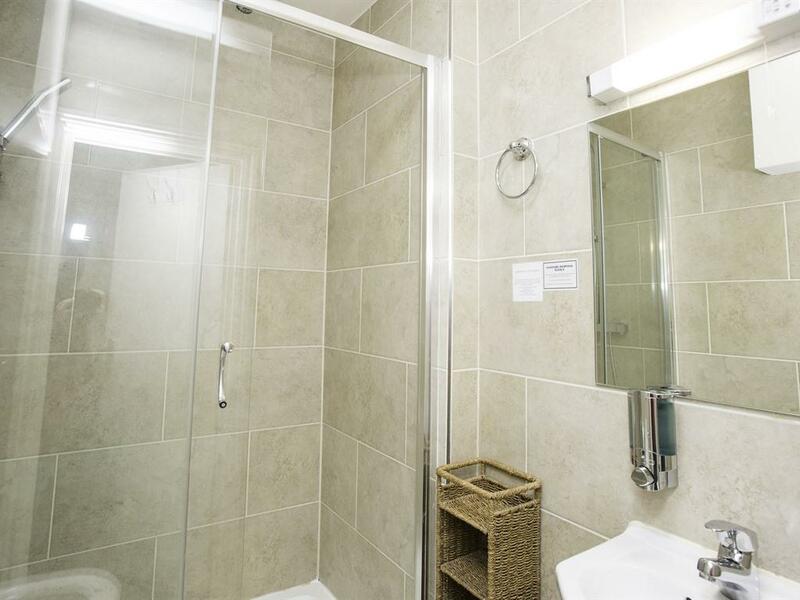 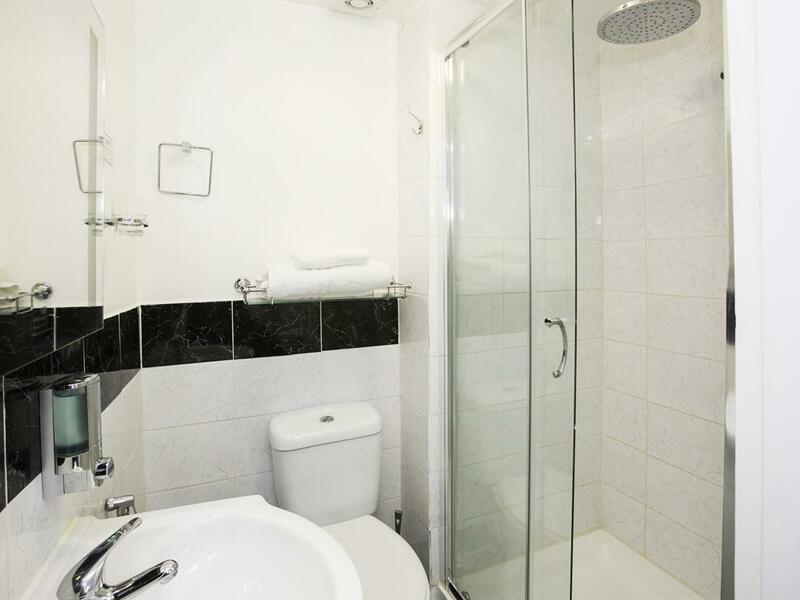 Large en-suite shower, wifi, HD LCD TV, complimentary tray with tea coffee water & biscuits, hairdryer, ironing board, adapter, towels and toiletries in room. Room is on the first floor. 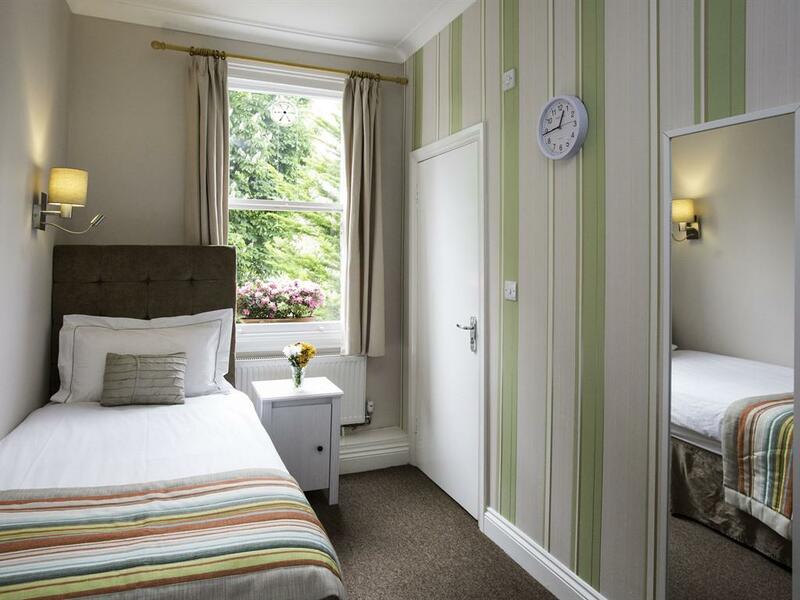 Two single beds, en-suite shower, wifi, HD LCD TV, complimentary tray with tea coffee water & biscuits, hairdryer, ironing board, adapter, towels and toiletries in room. 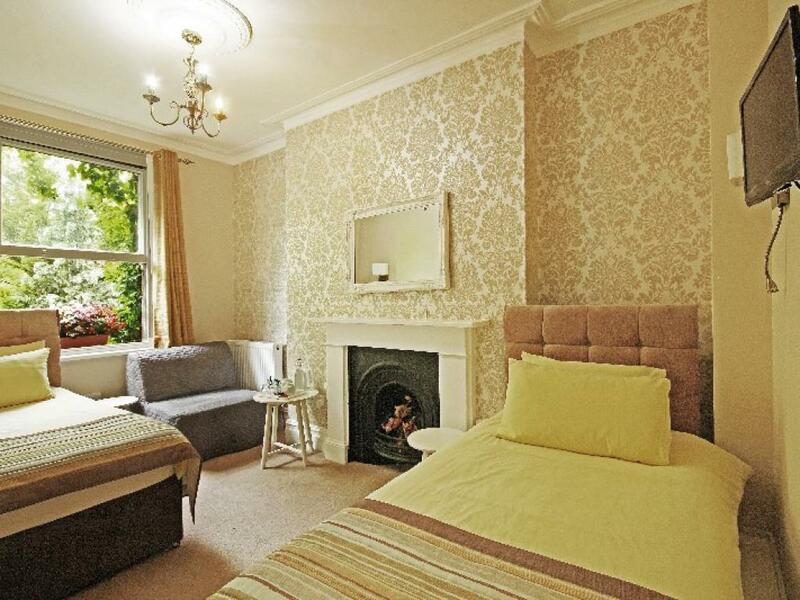 Room is on the first floor. Both twin rooms have a garden view. Can accommodate extra bed for 3 people (extra supplement). 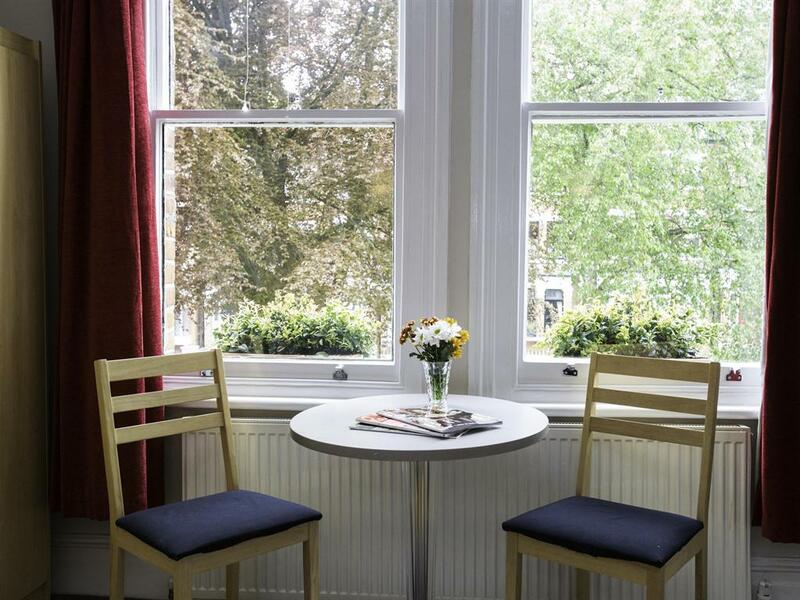 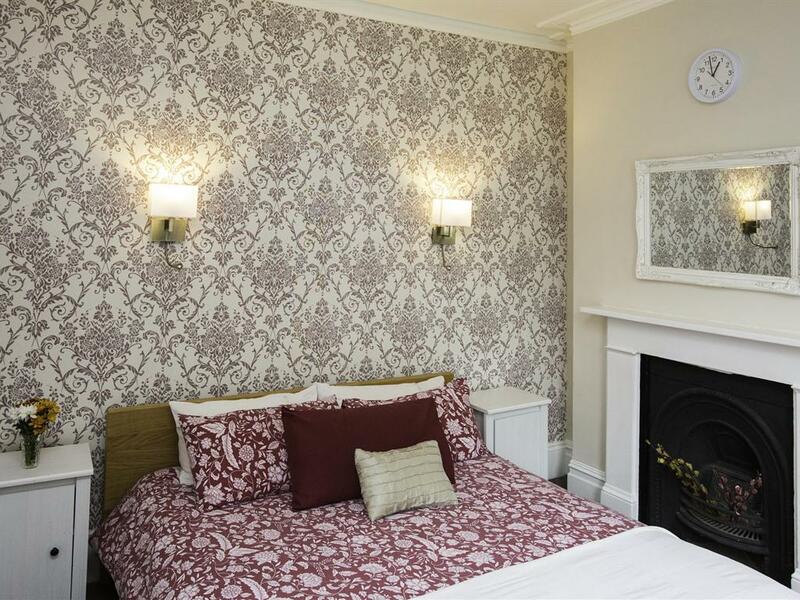 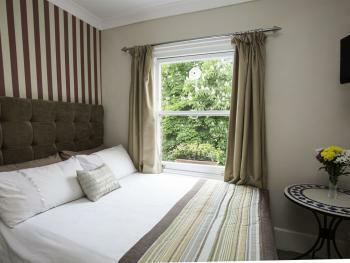 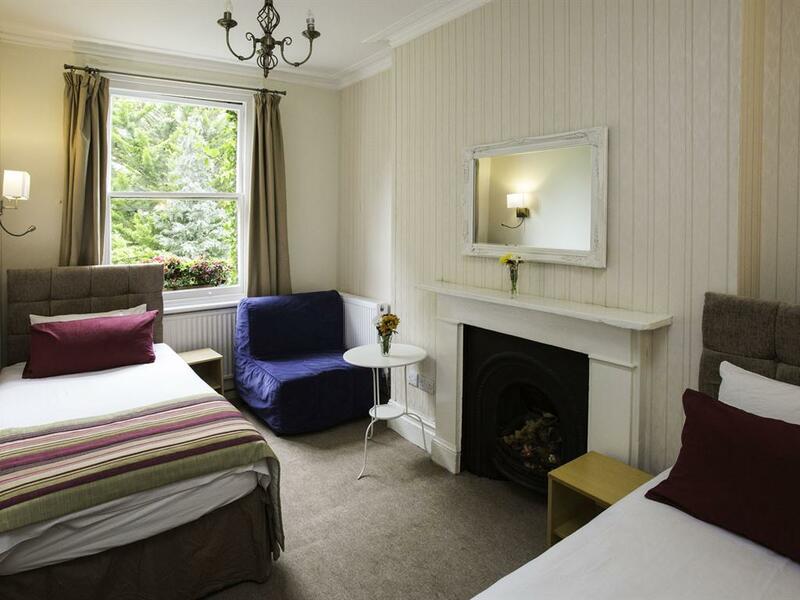 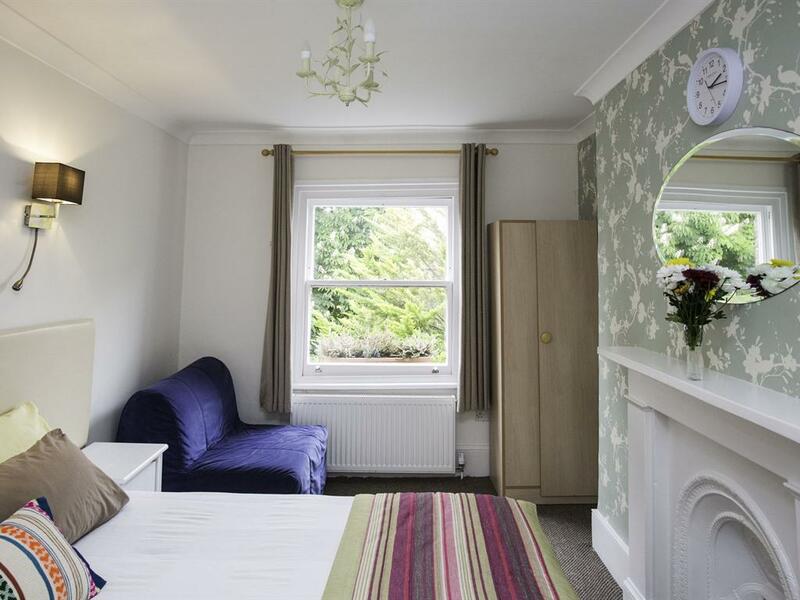 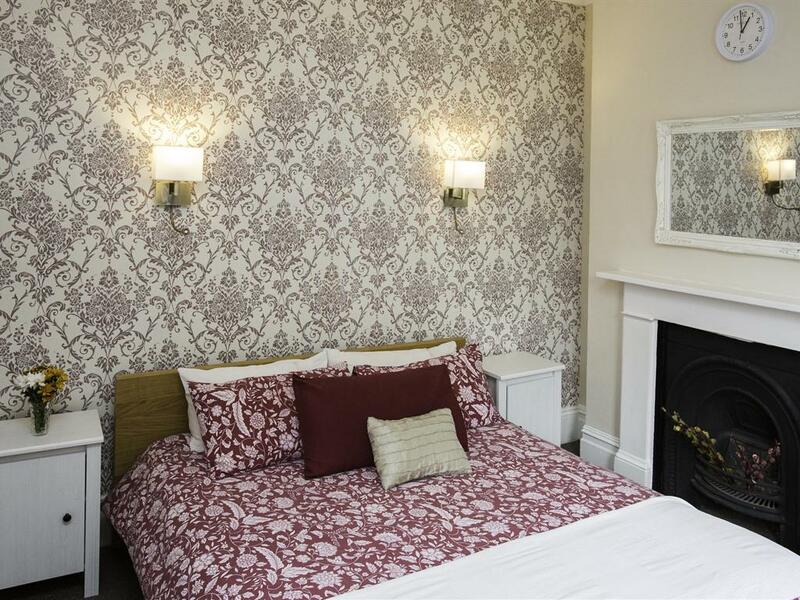 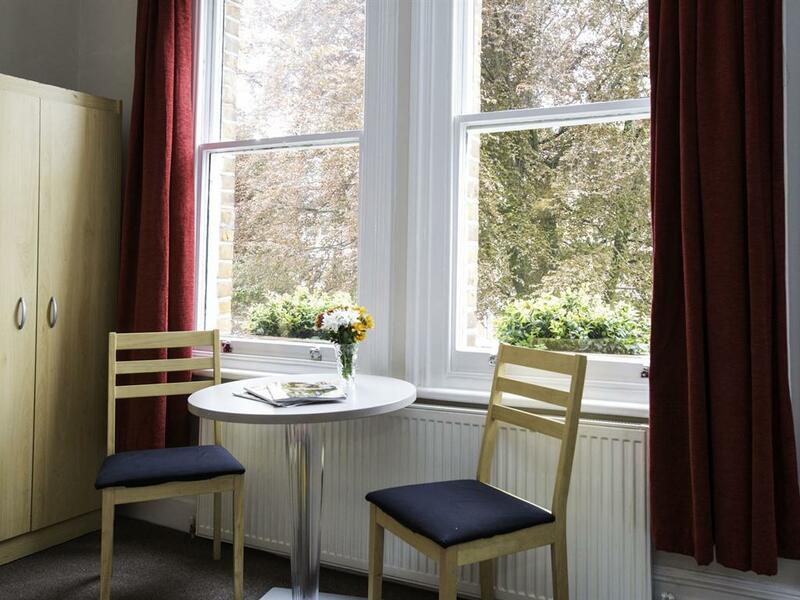 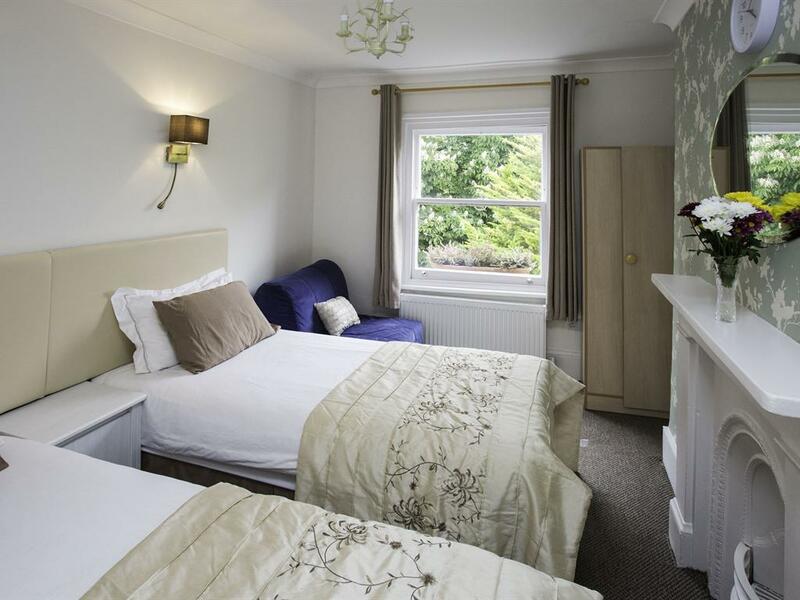 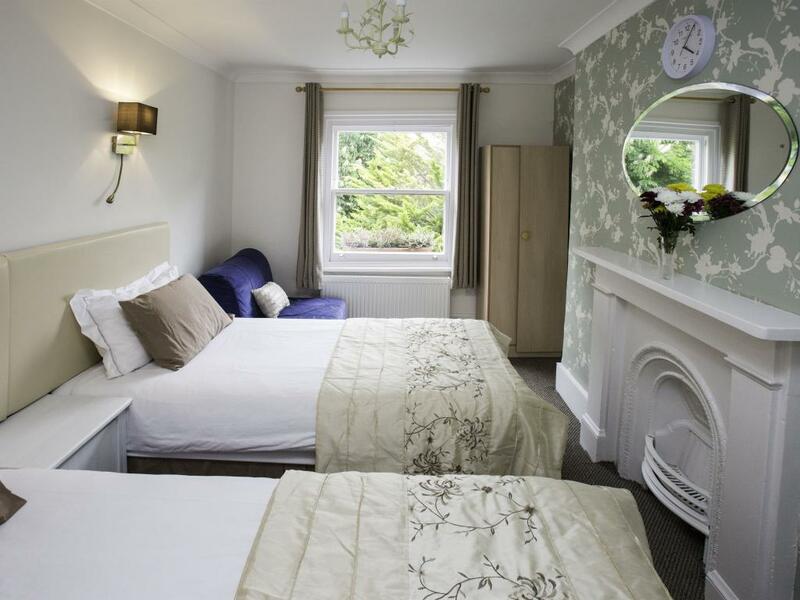 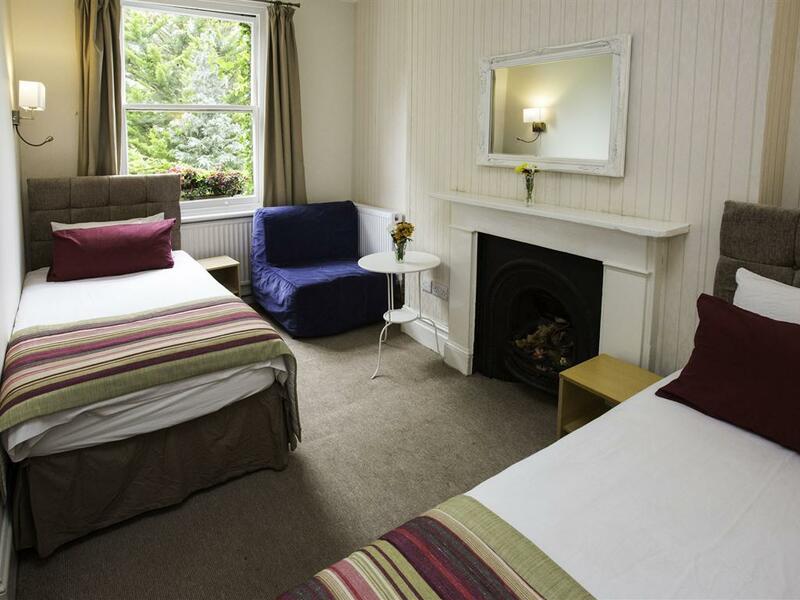 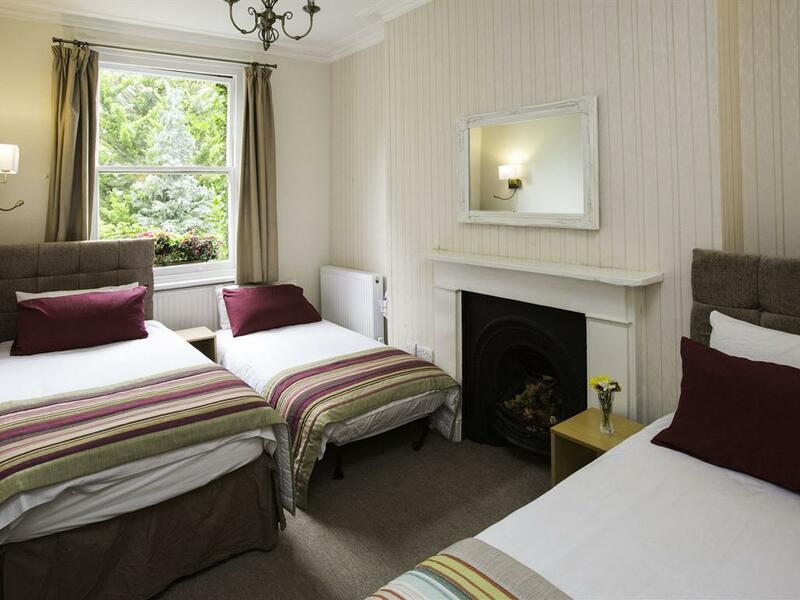 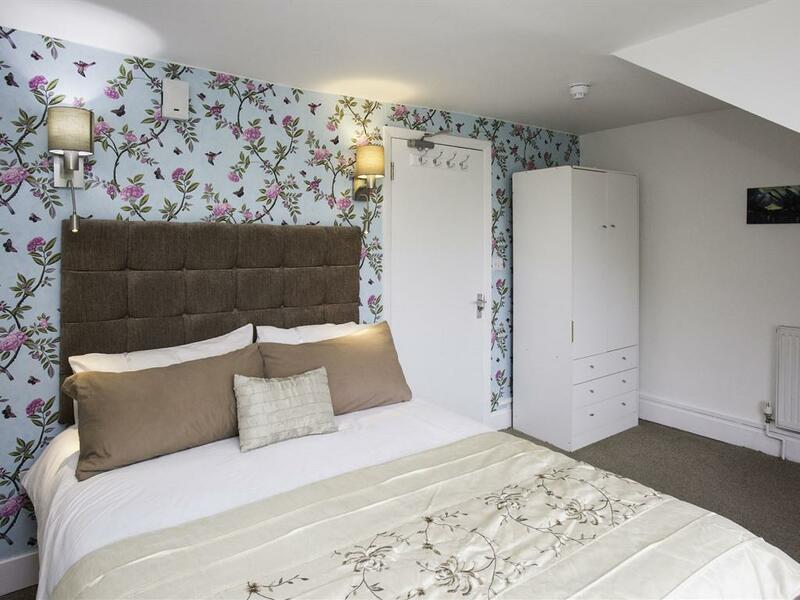 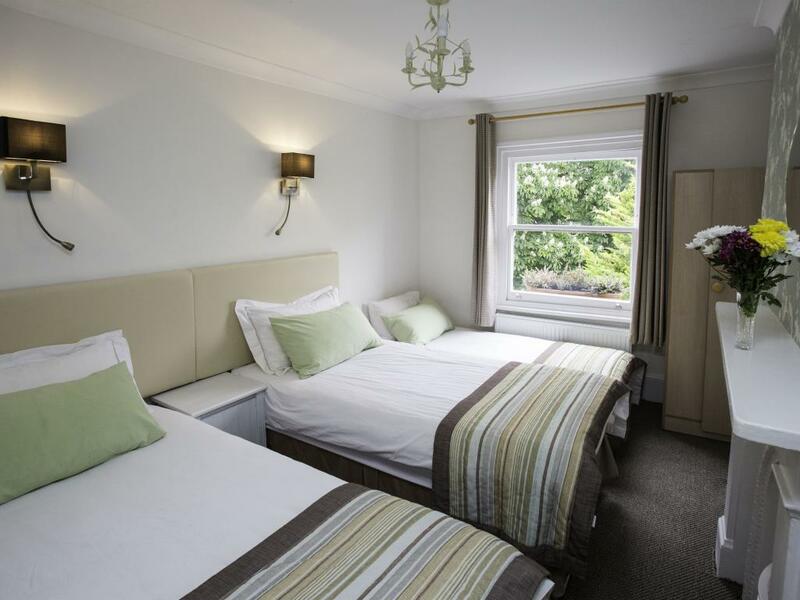 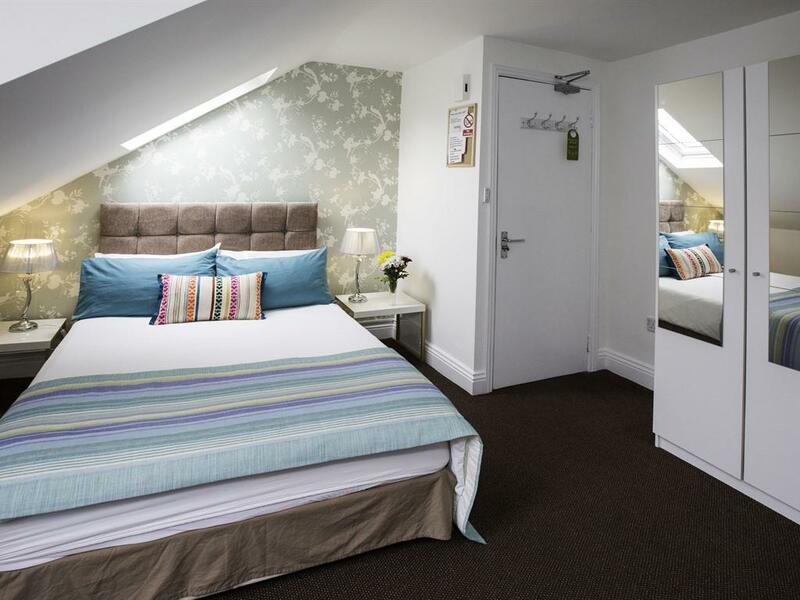 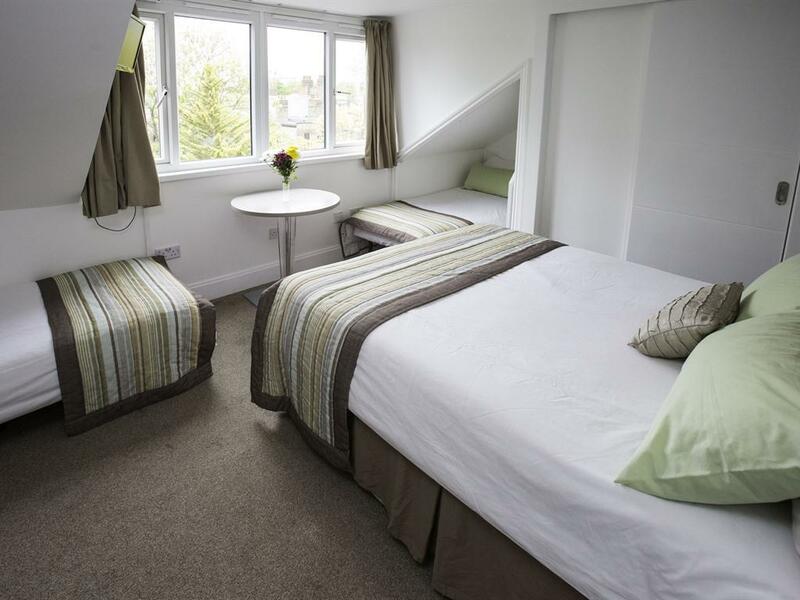 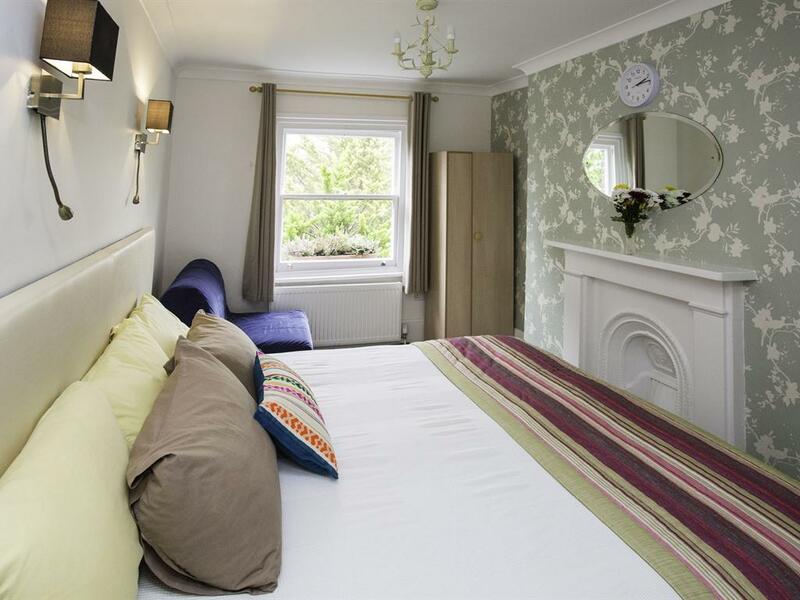 Double bed, this room has a garden view with a large window showing a lovely view of London and is on the top floor. 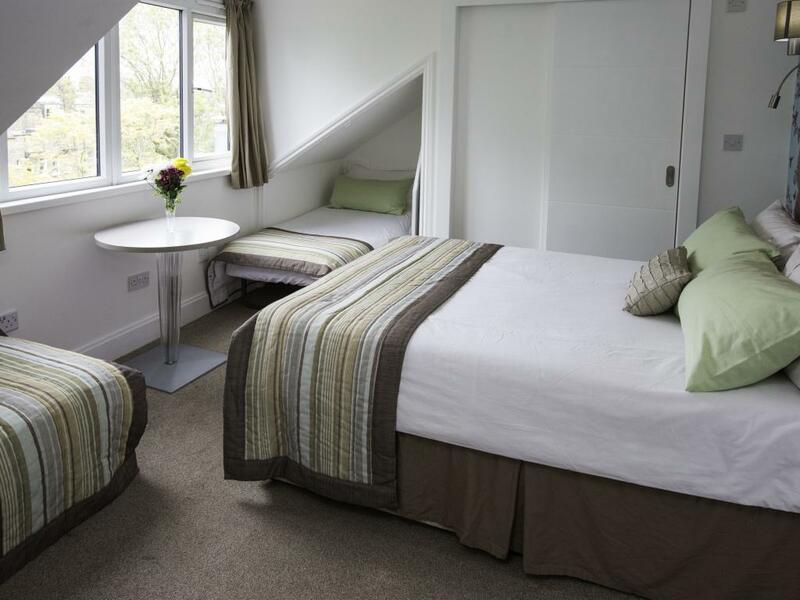 Extra bed option is not suitable for tall people due to the sloping ceiling. 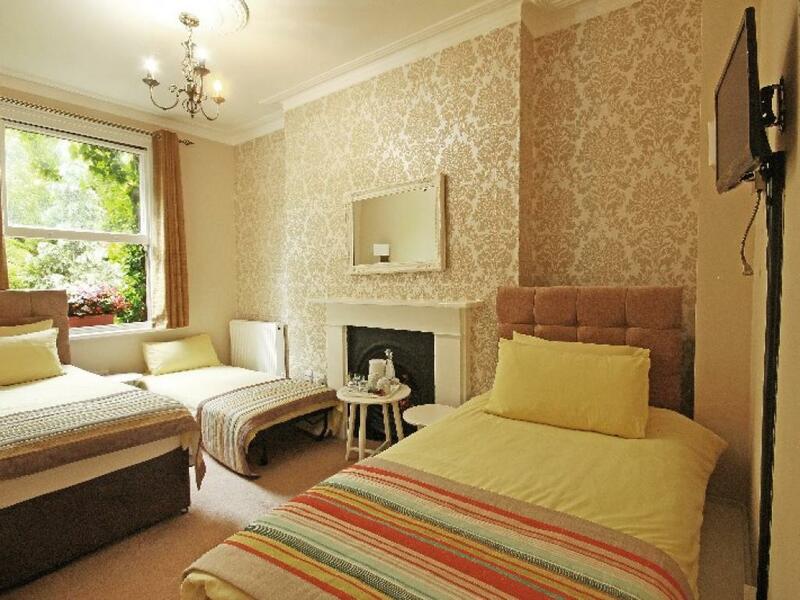 Extra bed suitable for children. 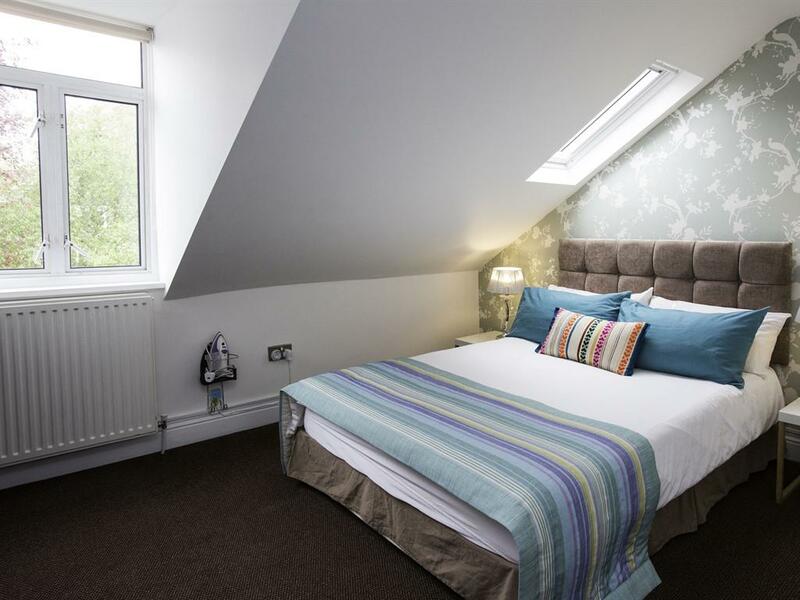 Double bed, this is a smaller loft room with a low ceiling and a front street view and is on the top/third floor. 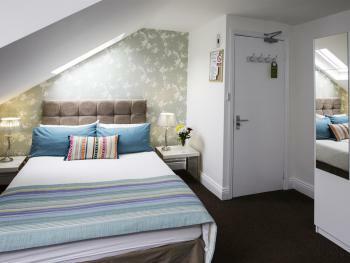 This room is NOT suitable if you are very tall due to the low ceilings/eaves or if you cannot manage too many stairs.